IPL 2019: Raina has amassed 4985 runs in 176 IPL matches at an average of 34.37. IPL 2019: Suresh Raina is one of the biggest stars in the Chennai Super Kings outfit. He has been with the yellow army since its inception and has been one of the most successful cricketers of the team. 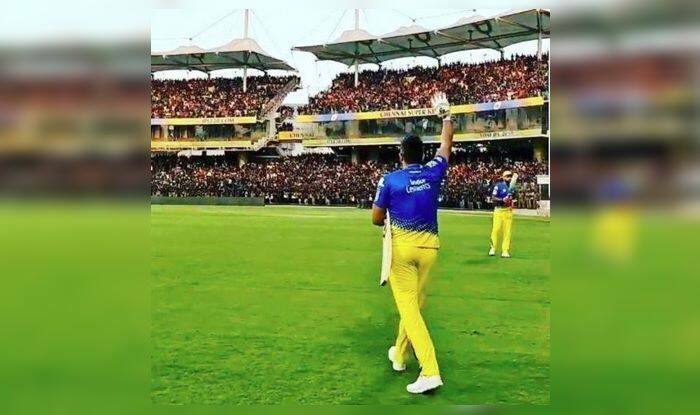 The southpaw enjoys a massive fan following in Chennai and that was visible when he walked out at the Chepauk and was welcomed by a thunderous response from the fans who had come to the venue to watch their heroes practice from close quarters. Raina walked out on the ground in the evening alongside the most popular man in Chennai currently, skipper of CSK, MS Dhoni. Earlier, Dhoni was seen chased by a fan again, this time to he proved to be better at keeping the fan at bay, away from him. The franchise posted the video of the episode and we are certain it will be a hit among fans once again. CSK would start their title defense on the opening night of the season when they travel to Bengaluru to lock horns with Royal Challengers Bangalore on March 23. The match is pitted to be nothing short of a humdinger, considering both teams are loaded with stars.